Ride sharing has become easy as modern technologies and online services connect potential people in need of rides with the drivers who are offering them. The convenience reaches even deeper with the ability for the passenger to pay cash for the ride. In addition, with the touch of your finger you can choose the car you want to ride in, track your driver’s location and view your driver’s profile, rating and reviews. There are currently two main ride share companies in the United States. Uber has its headquarters in San Francisco, California. Lyft has its headquarters in San Francisco, California as well. Both companies operate similarly. They utilize a mobile app based on a peer-to-peer ride sharing model so that customers can connect to drivers offering a ride. While these ride sharing companies have created jobs and made getting from here to there as easy as a touch of your finger, they are also riddled with complexities when an accident happens. If you are a victim of an Uber or Lyft accident as a passenger you need legal representation. Read reviews. Check out the reviews of prior passengers to ensure you’re getting a reliable driver. Trust your instincts. If you are riding with someone you feel to be unsafe you can ask to terminate your ride at any time. If you’re ever in an emergency situation, call 911 immediately. Enter and exit your ride sharing vehicle where moving traffic is not present. Make sure you step onto a sidewalk or other pedestrian path instead of out into traffic. There are certain steps you should always take if you are in an accident and you are driving, however if you’re a passenger in a ride sharing accident you need to be aware of what to do next as well. If you are not harmed in any way you are fortunate. Sadly, many passengers are injured in some way when involved in a ride sharing accident. The complexities of dealing with the aftermath of a ride sharing accident can be dizzying. You will need to have determined who will pay for your injuries, the driver or the company? You may also wonder if you should or could sue the ride sharing company after your crash. In addition, insurance coverage is complex as well. 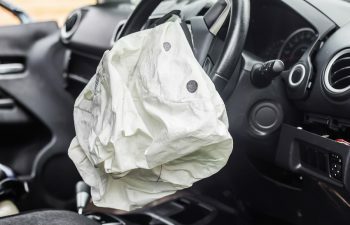 Most reputable companies maintain three layers of insurance coverage in case of a crash, so which “layer” will be responsible to give you the compensation you deserve? Uncovering the layers and complexities after you are injured in a ride sharing accident is difficult. In addition to your legal challenges you will need to deal with you will also need to keep up with the intricate records and details of your accident. Medical bills and expenses will need to be dealt with as well. Place your ride sharing accident case into dedicated hands by calling the Law Office of Dwayne L. Brown. We will schedule you with a free consultation to review your accident and injuries and give you advice and your options for future legal action. Call Dwayne L. Brown for your legal representation if a ride share driver hits you or your vehicle causing an injury.